Come sempre non mancheranno gli ospiti d’eccezione. and as always we will have various very special guests. 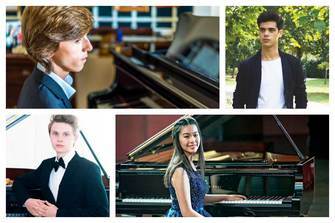 important for us here at Pianofriends, that is dedicated to young talented pianists that are 6 to 21 years old. Register from the 15th of February to the 15th of May 2019. Dal 26 al 28 luglio all'interno dell'Accademia Tadini di Lovere (Bergamo) si terrà la quarta edizione del prestigioso concorso. 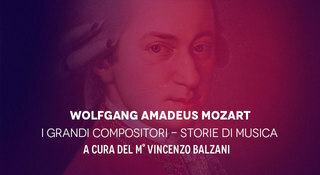 ​Musica di alto livello e tanti giovani in una cornice indimenticabile. Le iscrizioni chiudono il 5 luglio 2019. The fourth edition of this prestigious competition will take place from the 26th to the 28th of July in the Tadini Academy in Lovere, Bergamo. ​High level musicianship showcased by young musicians accompanied by an unforgettable backdrop. Register now, before the 5th of July 2019. ​presso l'Accademia Tadini di Lovere nella splendida cornice del Lago d'Iseo. Un appuntamento che ha contribuito alla formazione di centinaia di giovani pianisti. Next summer we will organize, for the tenth consecutive year, the International Piano campus at the Tadini Academy in Lovere accompanied the the beautiful backdrop of Lake Iseo. This is a workshop that has contributed greatly to the musical growth of hundreds of young pianists. The Festival for the Youth workshop 2019 will take place in the Grand Hotel in Toblach from the 20th to the 23rd of August, organized by Festspiele Südtirol in collaboration with the Pianofriends Association. The workshop consists of daily private lessons and the possibility to win a scholarship. The photo to the left pictures the award ceremony of the 2018 edition of the workshop. Quest'anno i concerti si moltiplicano. Alla prestigiosa cornice del Teatro Marcello si aggiunge l'ottima Sala Baldini nella sede dell'Associazione "Il Tempietto". La partecipazione dei giovani artisti PianoFriends è ormai un appuntamento acquisito e apprezzato.